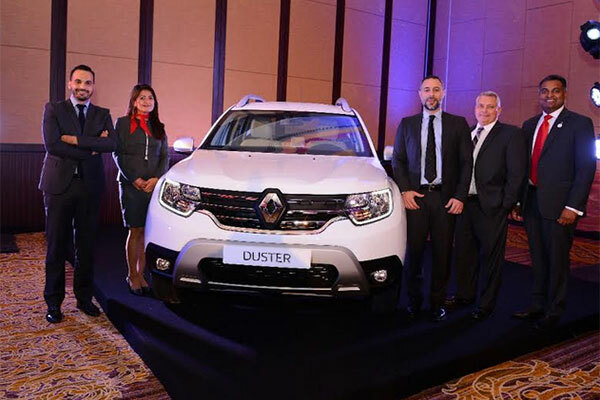 Al Masaood Automobiles, authorized distributor of Nissan, Infiniti and Renault in Abu Dhabi, Al Ain and the Western Region of the UAE, has launched the all-new Renault Duster. The event took place at the Dusit Thani Hotel in Abu Dhabi in the presence of Renault’s and Al Masaood Automobiles’ senior executives. With more than 2.45 million Dusters sold worldwide, the new and improved model offers a refreshing take on4WD driving experience, equipped with the same off-road capability and affordability to beat the best in the market. The rugged look of Duster has been further upholstered to accommodate a distinctively assertive look, featuring a brand-new exterior styling with a more full-bodied look and boosted by a wide chrome-finish grill which extends to the headlights at the car’s front corners. It also features a front skid plate and Renault’s signature C-shaped lighting with LED daytime running lights, which further reinforces the SUV’s personality as a sturdy, yet a smart city vehicle. Duster’s interior has been fully reinvented to offer a more comfortable space for passengers and versatile driving convenience. It is fitted with high-quality materials, safety and the latest adventure-ready technology features such as the Hill Descent Control, Multiview Camera and Blind Spot Warning, 4x4 monitor, automatic air conditioning, Remote Engine Start, seven-inch touchscreen tablet and Renault smart card with keyless entry system.